A Stelio Pay and Display machine, as supplied by Parkeon, will also run from integrated solar panels in case of power failure. 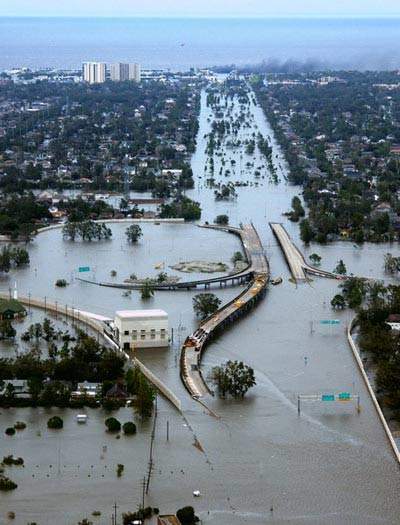 Flooding caused by Hurricane Katrina. A street in the French Quarter where Stelio machines will be installed. Hurricane Katrina caused a great deal of damage but the clean up is now in hand and the parking system has been restored in New Orleans as part of the reestablishment of the infrastructure. 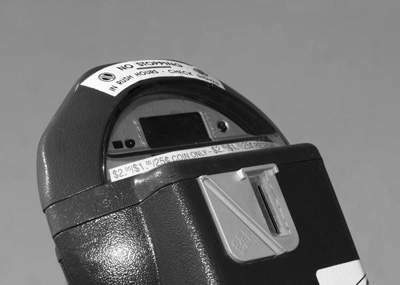 A parking meter on a street in New Orleans prior to the change over to Stelio Pay and Display system. The old style parking meter in New Orleans, many of which have already been removed and scrapped. Following the disaster meted out to the city of New Orleans by Hurricane Katrina, it would not seem to be a priority to put a new car park payment system into place on the previously flooded streets. However, the city is now returning to normality since its devastation in August/September 2005 and with this metered parking has been reintroduced for 2,600 on-street spaces. 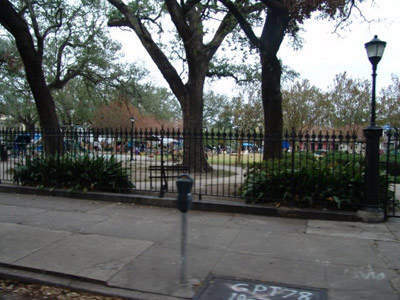 In the five months before Hurricane Katrina, 350 of the 400 solar-powered Parkeon Stelio pay-and-display terminals were supplied for Louisiana’s most famous city. The first 200 meters had been installed starting around City Hall by January 2005. 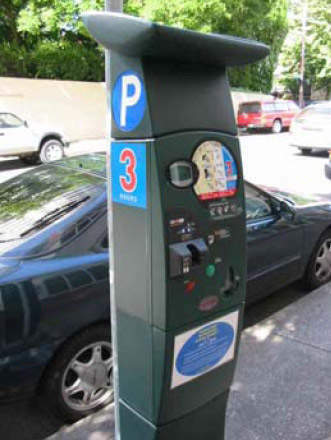 These were installed via a joint venture between Standard Parking Corporation, a national professional parking management firm, and the New Orleans-based, minority-owned parking facilities company, Parking Solutions. The new machines were installed to replace approximately 2,600 old style single/dual space meters with a multi-space scheme accepting credit/debit cards and coins to serve over 3,700 spaces across New Orleans. For the original installation Mayor Nagin, yielding to pressure to provide the contract to a minority firm, selected a vendor that didn’t provide enough meters to cover the city’s spaces. Other, lower bidding providers, did and these included Standard Parking, Reino, World Wide, Parkeon, ACS, Central, and the local firm Parking Solutions LLC who were all in the running. Eventually after a court review the contract was awarded accordingly to Standard Parking, Parking Solutions and Parkeon. Stelio accepts payment in the form of coins, e-purses, credit cards, private cards and mobile phones. These transaction payment methods are all managed by Parkfolio, the fully-hosted centralised back-office management system. Each of the new Stelio machines is also equipped with CreditCall’s CardEase system for secure credit card authorisation, meaning drivers have the flexibility to pay for their parking by card or coin. A lot of reconstruction is still underway in the city and the revenue from parking is urgently required. Recently re-elected Mayor C. Ray Nagin said: "With the increased population projected to return to New Orleans this summer, additional parking solutions are in great demand. Because of this increase, funds collected from the Stelio meters will help assist in the economic revitalisation of the city." "Parkfolio is a parking services management platform equipped with a variety of embedded services and is designed to boost parking management efficiency." 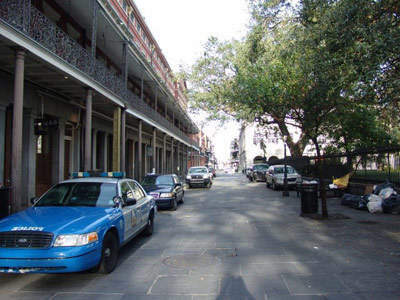 Following the hurricane devastation, even though New Orleans was under martial law for a few weeks, Standard Parking was allowed to enter the city and make initial assessments after a couple of days because of its heavy involvement with the city’s on- and off-street parking infrastructure. Thomas L. Hagerman, Standard Parking Executive Vice President said: "We remain committed to the New Orleans market, as our ongoing investment in our people and business indicates, and we are excited about the future." Parkeon US vice president and business manager, Michael Kavur said: "Parkeon was one of the first manufacturers to respond to the disaster, and we continue to support the city and its suppliers as much as possible. Our prime objective is to help all concerned get back to normality as quickly as we can." 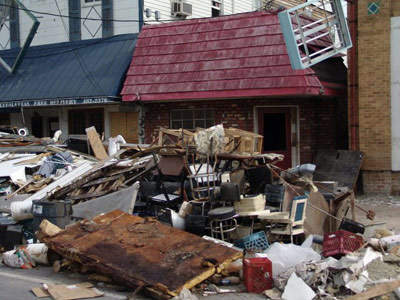 Two cellular towers were destroyed by the Category 5 hurricane Katrina and this temporarily disabled the card payment and centralised parking management system. However, the system operators were able to assess the operational status of every machine right up to the moment when Katrina made land-fall in the city. John Incandela, Standard Parking’s New Orleans-based regional manager said, "Having the Parkfolio centralised management system was a great bonus". By June 2006, the whole city had dried out. Keith Pittman, president of Parking Solutions added: "New Orleans is our home and it was heart-breaking to see what Katrina did to this wonderful city. Parking Solutions along with Standard Parking is determined to help bring New Orleans back and make it even better." Parkfolio is a parking services management platform equipped with a variety of embedded services and is designed to boost parking management efficiency. The platform is based on new-generation servers and unique three-tier architecture coupled with a standard Java-based language development technology, providing greater flexibility, new functionalities and characteristics. The new architecture means servers are adapted to any kind of infrastructure, from local to remote access. Parkfolio modules are designed to provide TCP/IP Distant Access from central servers hosted and administrated by Parkeon and/or its partners. The system also enables Parkeon to provide value-added services including: bureau service reports, hot-line and server hosting and end-to-end managed services contracts. Parkeon can even operate and manage distant access services and process electronic payment directly from their global network of data management centres, making operating the system easy for customers (no staff or training required). In addition, because the system detects any malfunctioning at once appropriate action can be taken immediately. Other services include the analysis of parking patterns, modification of terminal features in real time and the adaptation of tariffs if required.